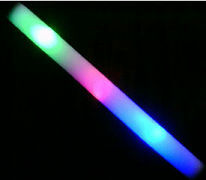 SKU # 707B Flashing form stick lights glows in blue, green and red with three speed selections. Battery operated. Comes with batteries.